The CENIC Innovations in Networking award recognizes a project connecting the Hyades supercomputer cluster to Lawrence Berkeley National Laboratory's computing center. The project connecting the UC Santa Cruz’s Hyades supercomputer cluster to the Lawrence Berkeley National Laboratory’s National Energy Research Scientific Computing Center is being awarded the CENIC 2018 Innovations in Networking Award for Research Applications. Project leaders being recognized are members of UCSC's Astronomy and Astrophysics Department and Physics Department: Piero Madau, Joel Primack, J. Xavier Prochaska, Enrico Ramirez-Ruiz, and Stan Woosley; members of the UCSC Science DMZ team from UCSC Information Technology Services: Shawfeng Dong, George Peek, Joshua Sonstroem, Brad Smith, and Jim Warner; Peter Nugent at the Computational Research Division at Lawrence Berkeley National Laboratory; and John Graham with the Qualcomm Institute at the California Institute for Telecommunications and Information Technology (Calit2). Astronomy and astrophysics are disciplines that require processing massive amounts of data. A single night's survey of the sky with a state-of-the-art telescope can yield a tremendous amount of data, which is often analyzed in real time. Today, nearly all scientific research and data analysis involves remote collaboration. To work effectively and efficiently on multi-institutional projects, researchers depend heavily on high-speed access to large data sets and computing resources. UCSC responded to this challenge by organizing a unique collaboration between scientists and technologists. Several units within UCSC’s Information Technology Services worked with UCSC researchers to win a National Science Foundation grant to establish a campus Science DMZ. A Science DMZ is an architecture developed by the U.S. Department of Energy’s Energy Sciences Network (ESnet) to support faculty and research projects. The UCSC Science DMZ offers a 100 Gbps network connection between UCSC and participating institutions. This effort dovetails with the Pacific Research Platform (PRP), now in development by researchers at UC San Diego and UC Berkeley in collaboration with CENIC. The PRP integrates Science DMZs on multiple campuses into a high-capacity regional “freeway system” that makes it possible to move large amounts of data between scientists’ labs and their collaborators’ sites, supercomputer centers, or data repositories without performance degradation. Using PRP, UC Santa Cruz connected its Hyades supercomputer cluster to the Lawrence Berkeley National Laboratory’s National Energy Research Scientific Computing Center (NERSC) over CalREN, CENIC's 100 Gbps optical network, and over 100 Gbps peering with ESnet providing connectivity to NERSC. Peter Nugent, an astronomer and cosmologist from the Computational Research Division of LBNL, was pivotal in this effort. This connection enables UCSC to carry out the high-speed transfer of large data sets produced at NERSC, which supports the Dark Energy Spectroscopic Instrument (DESI) and AGORA galaxy simulations, at speeds up to five times previous rates. These speeds have the potential to be increased by 20 times the previous rates in 2018. Initially, when Hyades was connected at 10 Gbps to the campus production network, data transfer was slow and cumbersome. Then, in March 2017, PRP provided a FIONA box to facilitate data transfer between UCSC and NERSC. A FIONA box, or Flash I/O network appliance, is constructed out of commodity parts. FIONA boxes are highly optimized for data-centric applications and act as "data super-capacitors," increasing the possible bandwidth speed to 40 Gbps or greater. Computational astrophysicists at UCSC now regularly use the supercomputing resources at NERSC and routinely transfer terabytes of data between Hyades and NERSC. For example, the enhanced speed has greatly facilitated work by UCSC cosmology researchers Piero Madau and Joel Primack, who have been using supercomputers to simulate and visualize the evolution of the universe and the formation of galaxies while comparing the predictions of these theories to the latest observational data. 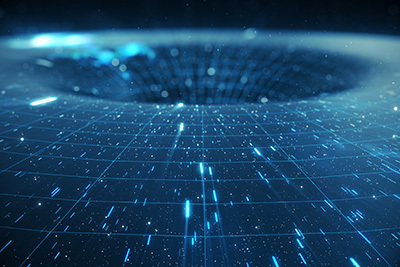 The new connection also supports astrophysicists Enrico Ramirez-Ruiz and Stan Woosley, who use supercomputers to simulate violent explosive events like supernovae and gamma-ray bursts. “By setting up a campus Science DMZ, using the data-transfer node infrastructure at the NERSC facility, and using the PRP cyberinfrastructure running over CENIC’s 100 Gbps optical links, UCSC is now able to transfer data sets at faster and faster speeds. The scientific achievements in this award are enabled by high-functioning physical and human networks, both of which are essential and notable,” said Louis Fox, president and CEO of CENIC.